COLUMBUS – Eleven games into Dwayne Haskins’ first season as Ohio State’s starting quarterback his teammates and coach Urban Meyer see a difference in him. In addition to a quarterback with elite arm talent, they see a leader. “Everyone knew what he could do talent-wise but his leadership skills have grown over the year,” senior wide receiver Terry McLaurin said on Tuesday as OSU prepared for its game against Michigan on Saturday. McLaurin pointed to the difference between the image Haskins projected in the TCU game the third week of the season and how he acted during Ohio State’s 52-51 overtime win at Maryland last Saturday to make his point. “He really put his head down and was really just a good leader on that sideline (at Maryland). I think back to TCU when we kind of had some struggles offensively and he was kind of quiet and things like that and waited for some of the older guys to speak up,” McLaurin said. “He really took the bull by the horns this past week. There was never any panic, never any angst in his voice or in the look in his eye,” he said. 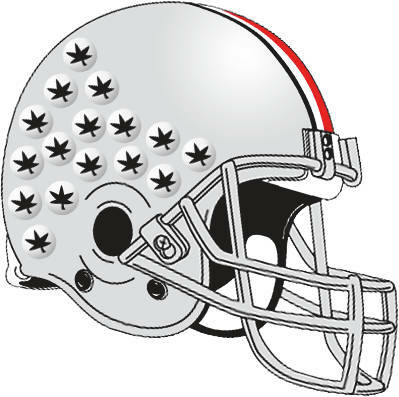 OSU coach Urban Meyer saw Haskins expanding his leadership role by stepping up to the challenge of running the football when he carried 15 times for 59 yards and three touchdowns against Maryland. “He needed to take that step. That’s the next step in his career is the toughness, the leadership. His leadership was great. He’s getting better and better at that,” Meyer said. Haskins will be going for his second win over Michigan when the No. 10 Buckeyes (10-1, 7-1 Big Ten) take on No. 4 Michigan (10-1, 8-0 Big Ten) at noon Saturday in Ohio Stadium. So far this season he has broken the Ohio State records for passing yards in a season with 3,685 and touchdowns in a season with 36 and has thrown for more than 400 yards in four games. His ability to step into a pressure-filled situation after J.T. Barrett was injured last season at Michigan and lead three scoring drives in a 31-20 Ohio State win helped OSU extend its winning streak to six games in a row against its biggest rival. Haskins completed 6 of 7 passes, including a huge third down throw to Austin Mack, and had a 22-yard run down to the 1-yard line to set up a touchdown last season in Ann Arbor. He says he didn’t feel nervous on the big stage in the big game. In fact, he says the only time he ever encountered nervousness was in the first game of his sophomore year of high school after moving to a new school in Maryland. The acceleration in Haskins’ leadership ability was not like going from zero to 60, it was more like going from 20 miles per hour to highway speed. Wide receiver Parris Campbell saw that already last year at Michigan. “Obviously it was a big game for him. It was his first real snaps at quarterback. He was just kind of, I don’t want to say nervous, but you could tell he was a little shaken up by the moment,” Campbell said. “But after he completed that pass to Austin Mack he was animated and ready to go. He came back to the sideline and was energetic and got guys going. “He is definitely doing the things everyone thought he could do. His stats speak for themselves. I don’t know if I would say he’s doing exactly what I thought he would be doing because I don’t think you can even fathom some of the stuff he has done. He’s just playing great,” he said. Last week before the Maryland game Haskins talked about how he has changed since the beginning of this season. “I’d probably say I’m more seasoned now as far as seeing the (defensive) looks, getting protections right, having more experience, having more of an idea what to do in certain situations and facing adversity,” he said. “Definitely I think I’ve grown in all those subjects. Looking back at last year’s Michigan game, he said, “I was pretty calm in that situation. I didn’t have any racing thoughts or thoughts of concern or self-doubt. Being able to go into that environment and succeed meant the world to me going into this season.